Mr. Jeremy L. Lumpkin is currently in his third year of teaching at Collins Hill High School in Suwanee, Georgia where his primary responsibilities include teaching the Screamin’ Eagle Marching Band, The Wind Symphony, The Symphonic Band, and The Collins Hill Jazz Ensembles. During his tenure at Collins Hill, both the Wind Symphony and Jazz Ensemble have been invited to perform at The Georgia Music Educator Association’s In-Service Conference. Prior to working at Collins Hill, Jeremy was the Director of Bands at West High School in Knoxville, Tennessee. During his tenure at West, the concert band made two appearances at the Tennessee Music Educator Association’s State Festival, as well as receiving superior ratings in grades III, IV, V, and VI at the East Tennessee State Band And Orchestra Concert Festival. Jeremy has also found success in pageantry, working as a staff member with the 2015 WGI World Champion Rhythm X Winds as well as serving on the Visual Staff for The Spirit of Atlanta Drum And Bugle Corps in 2016, and Visual Staff for The Phantom Regiment Drum And Bugle Corps in 2017. Jeremy is extremely excited to be working his second season as a member of The Phantom Regiment Drum and Bugle Corps visual staff in 2018. 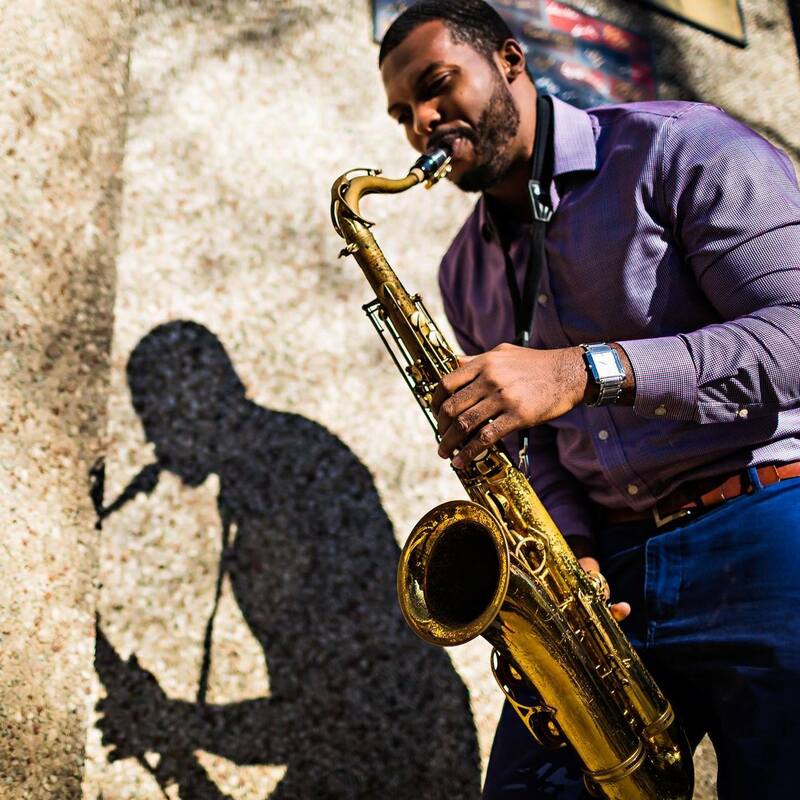 Jeremy Lumpkin received his Bachelor’s Degree in Music Education from The University of Tennessee at Knoxville, as well as a Master’s Degree in Saxophone performance from The Cincinnati Conservatory of Music. In 2014, Jeremy Lumpkin received The Young Music Educator of the Year Award from the Da Capo Association of the Tennessee Music Educators Association. In the same year, he was awarded Teacher of the Year by the students and faculty of West High School. He is a member of Alpha Phi Alpha Fraternity Incorporated as well as Phi Sigma Theta Honors Fraternity.